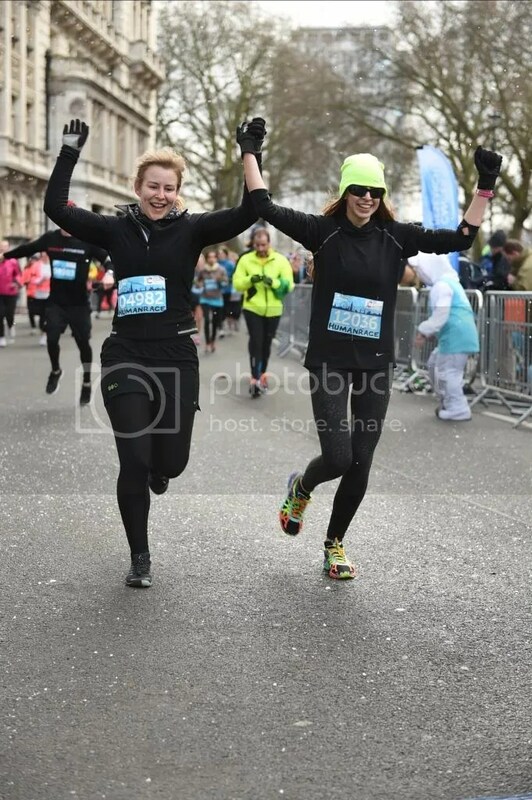 A few weekends ago I took part in my first race of the year, the London Winter Run, with my cousin, B. It was a gloriously sunny morning with blue skies, though utterly freezing temperatures, but we were raring to go come race morning. 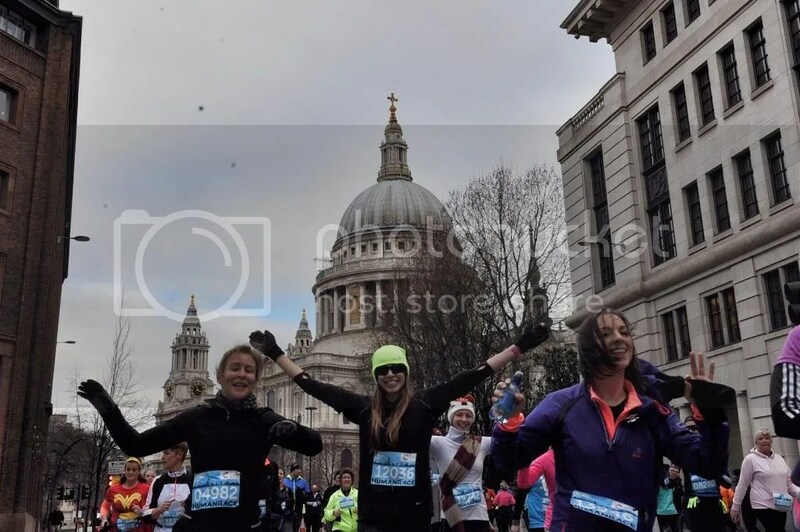 Both of us had been suffering with various injuries leading up to the event so it was touch and go as to whether we would compete, but after agreeing that we would just run the 10K for fun and whilst trying to listen to our bodies throughout, we decided to just go for it and enjoy. We took a rather laissez-faire approach on race morning, waking up in Marylebone about an hour before our wave was due to start in Westminster, which is incredibly unlike our usual control-freak personalities, though still allowed time for a quick bowl of porridge before hopping on the tube to the start line (first time in my life that I have ever been glad to catch the toasty Bakerloo line!). My first impression of the race was that it was incredibly well-organised with plenty of enthusiastic helpers ready to point you in the right direction. Hardly surprising considering Human Race were the organisers. My second thought was that there were so many competitors, and so it was clearly not going to be a fast race or one for a PB – I think approximately 15,000 people took part. B and I decided to run together throughout, which was the first time we had competed together since the London Triathlon in 2010 (which was quite frankly a disastrous race for me), and meant we could be our own support crew as our partners were occupied with other things. And so there we were, in the starting pen, surrounded by hundreds of other really enthusiastic runners and with music blaring and various warm up exercises happening around us. Whilst this was all very nice, we just wanted to get running as I was struggling with the freezing temperatures at this point. We gradually made our way closer and closer to the start line, expecting to start – only to be stopped once again and then having to wait another 5 minutes before they finally allowed our wave to cross the start line. The start was slow…very, very slow. We seemed to be mixed in with a complete range of abilities, some people were choosing to walk right from the very start, and some resorted to walking after 1K. All well and good, however it would have been nice if they had moved to the side to allow a clear path for those of us who were running. Unfortunately the entire race was a case of people-dodging, but this really was the only downside. At about the 6K mark I could feel a few niggles creeping in but I was expecting this to happen and it wasn’t anything significant enough to make me want to slow down or stop, in fact, all I could think of throughout the entire run was how great my body felt. I suspect it had something to do with the epic carb-loading session we had the evening beforehand…usually my downfall is the fact that I struggle to fuel my body properly for mid-distances. We ran through a few snow zones, which were fun in terms of the gimmick-factor, but not so fun when you ended up with a mouthful of snow. The race seemed to go incredibly quickly, although that perhaps had something to do with the fact that we were enjoying talking to each other throughout the entire route. Soon enough we were at 8K which was the furthest I had run in training (I adopted the marathon approach by not actually running my full distance, and even stopped running entirely for the 7 days before race day due to aches and pains) and I still felt very strong. Then the 9K marker appeared and a huge feeling of pride came over me as I knew that my legs had plenty more miles in them and that I was nearly at the finish line. As the finish line came into view, B grabbed hold of my hand and we went in for our usual sprint finish, and my gosh, it felt spectacular. Our time was 1hr 3mins (I technically came in a fraction of a second before B, which sufficiently fuelled our ‘sibling rivalry’) and we were incredibly satisfied with that. 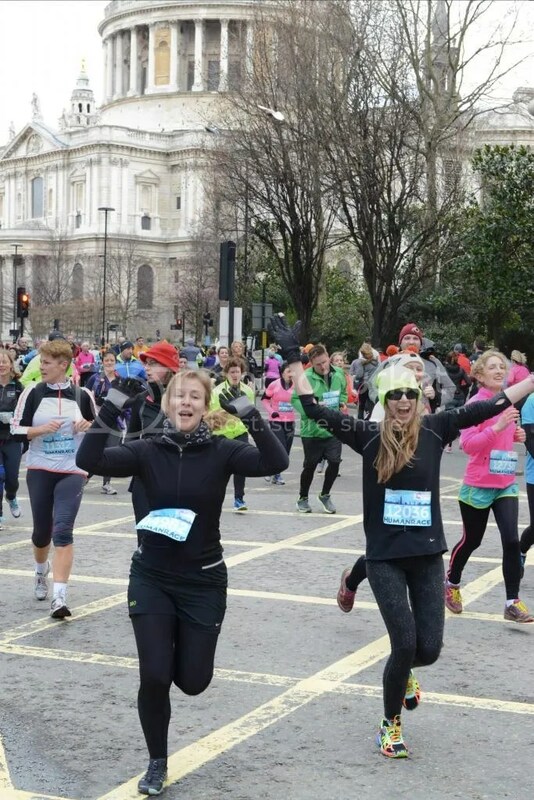 My aim was to run a solid 10K whilst enjoying every moment, and that is precisely what I did. Placing that medal around my neck made me realise just how far my running and frame of mind has come and I knew that I could have easily pushed myself to run a sub-1hr run if I had really wanted to. Shortly after crossing the finish line, we met our ultramarathon runner uncle in Trafalgar Square who treated us to a hot chocolate to help warm up. And then we headed back to Marylebone for a shower before indulging in the most wonderful brunch at Daisy Green’s – we both opted for The Bondi, which was utterly delicious. All in all, a fantastic race, and one which I intend to run again in 2016. Major congratulations!!! Such a fantastic accomplishment – wear that medal proudly!